The higher lands in the east of Ropley were originally part of the great Andredsweald forest which originally covered much of Southern England. Alice Holt and Woolmer are the only extensive woods that remain of this in Hampshire (though they are not primary woodland) and fractions remain in Ropley in Old Down Wood, Dogford Wood, Charlwood, Winchester Wood and Stoney Brow. The earliest evidence of human existence is from the later Bronze Age (about 1000 BC). A Barrow (used as burial ground) used to stand in a field to the West of Old Down Wood but was levelled in living memory. 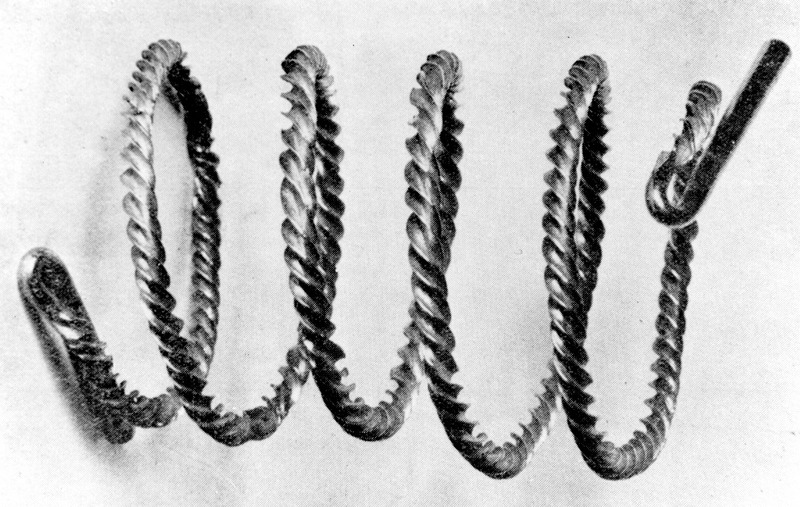 A beautiful gold torque necklace was dug up in Lyewood in 1845 dating from this period, a replica of which can be seen in the Curtis Museum in Alton. It is probable that there were early settlements in the Dean, with a Roman road, but there is no direct evidence of this. Roman coins have been found in Ropley, but the nearest Roman ruins have been found in Bighton and Bramdean on the outskirts of Ropley. 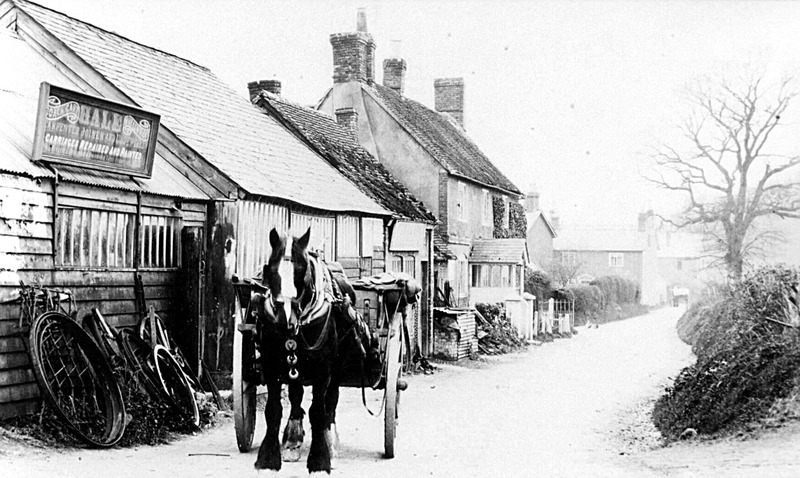 The name Ropley is probably Anglo-Saxon, the meaning uncertain. "Ley" was originally a wood and later a glade in a wood. "Dean" in Anglo-Saxon means an open glade bordering woodland, and the local names of Bramdean, Bordean, Brockwood Dean and Ramsdean trace the original borders of the Andredsweald forest. Imagine a landscape of predominantly thick forest, with clearings made in it by settlers which gradually developed into farms, leading to a scattering of small hamlets at North Street ("Straet" means "hamlet"), South Street, Church Street, Gilbert Street. 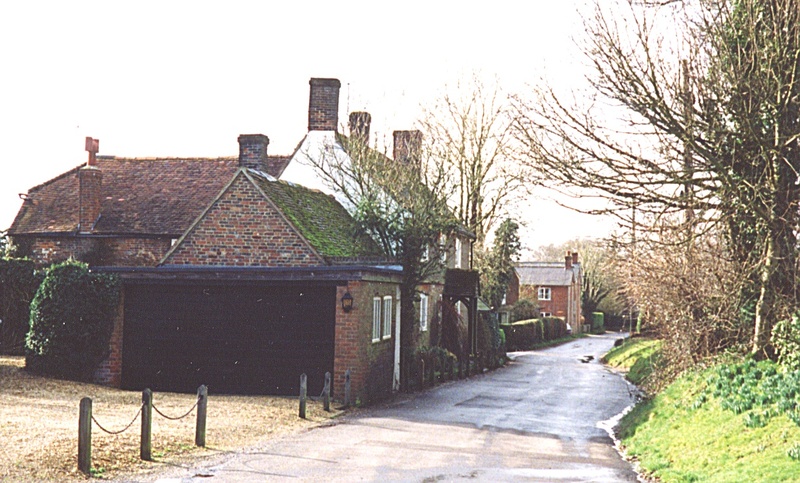 In Domesday Book times Ropley was part of the "Hundred of Bishops Sutton" (or "Ashley"), owned by the Bishop of Winchester from 1136 and remained part of the jurisdiction of Bishop’s Sutton until it became a separate parish in 1882. Throughout these centuries it must have been largely self supporting, with transport mostly by foot, by horse or horse drawn carriage for those who could afford it. In 1822 William Cobbett in his "Rural Rides" refers to the good wheat in the area, and the fine swedes on Ropley Dean. The village was noted for its fine flowers, which with the soil suitable for horticulture produced a flourishing bee keeping industry. Honey was used for the production of mead in Saxon and medieval times and William the Conqueror is said to have obtained his honey from Ropley. 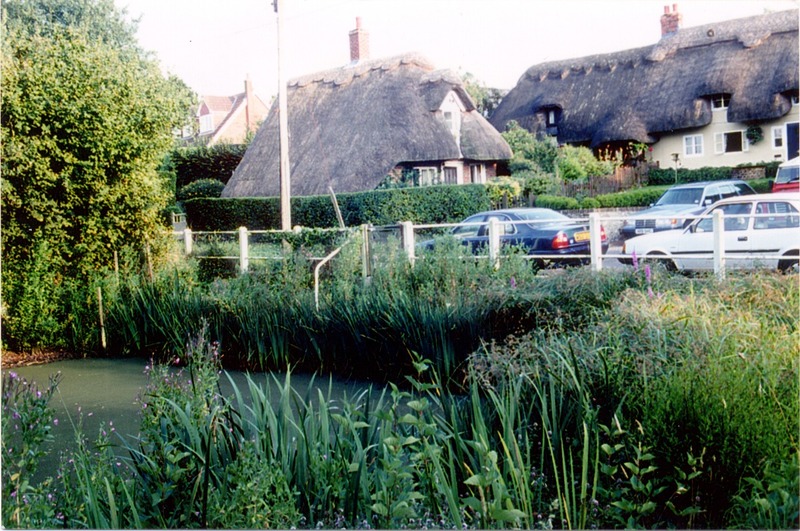 There used to be several ponds at the Dean, Chase Farm in Gilbert Street, Andrews Lane, and the top of Church Street, which is the only one remaining in the village centre. There also used to be one outside the Forge, the railings can still be seen. Another evidence of earlier times is the line of dells, some large and others just depressions in the ground, which stretch from West Tisted to Medstead, dug for marling (lime fertilising) the land. In the course of time chalk quarries were cut for marling and chalk quarrying for agriculture became a widespread industry, Ropley’s local quarry was still working in the late 90’s in Soames Lane. Throughout all these centuries the Church was the centre of village life. The first Church at St Peter’s was built in the 11th century, the only remaining features are the door to the present south transept, and part of the south and west walls. It was extended in the 13th century with the expansion of local trade and farming, and the bell tower added at the end of the 14th century, with further improvements in the 15th. Seating was extended again in the 18th and 19th centuries, but at the end of the 19th century it was in poor condition and it was thoroughly rebuilt in the Victorian manner, losing much of its original charm. A Mission Church was established in Monkwood in 1936, still used for worship, and a Methodist chapel in Vicarage Lane in 1909, now a private house. Eleanor House was also a Methodist chapel, and a further one stood next door to Hunwood House in Charlwood.